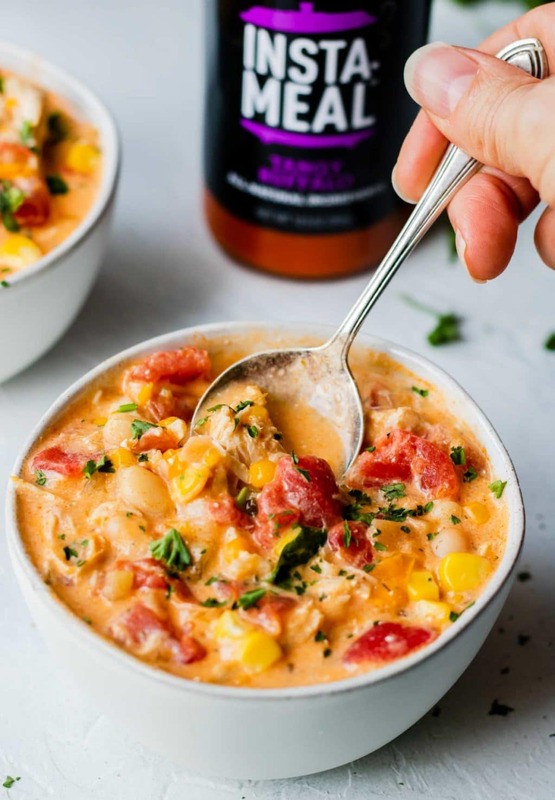 Buffalo Chicken Chili made in the Instant Pot is the perfect blend of spicy tangy buffalo sauce mixed with tomatoes, chicken, sweet corn, and cooling cream cheese, ranch and cilantro. This is the dish you want when a buffalo sauce craving strikes, any time of year! If you love buffalo flavor, then you LOVE buffalo flavor! There is no middle ground with the spicy tangy flavor. You either love it and your mouth waters when you think or talk about it, or it is not your jam. I am guessing since you are looking at this recipe, then buffalo flavor is your thing, chicken wing. 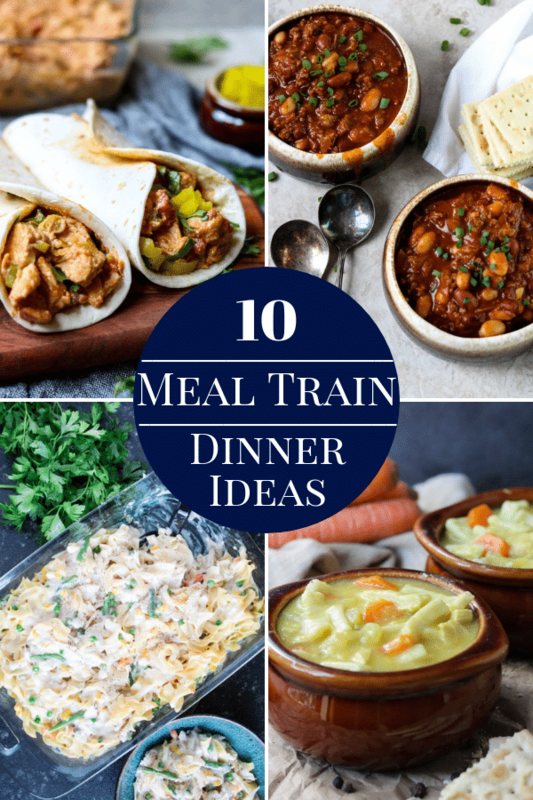 We all know buffalo chicken wings, buffalo chicken dip, and buffalo chicken sandwiches. 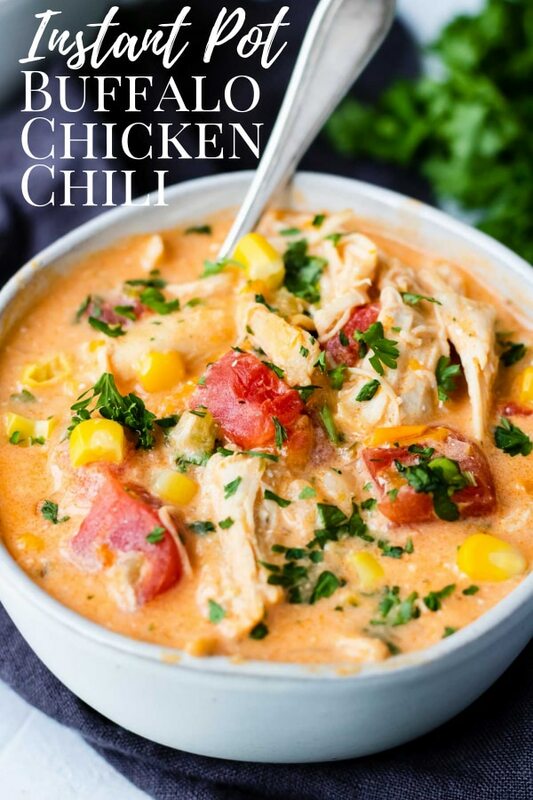 But, have you had buffalo chicken chili before? It is the type of chili that you will eat until your stomach hurts because it is so good. 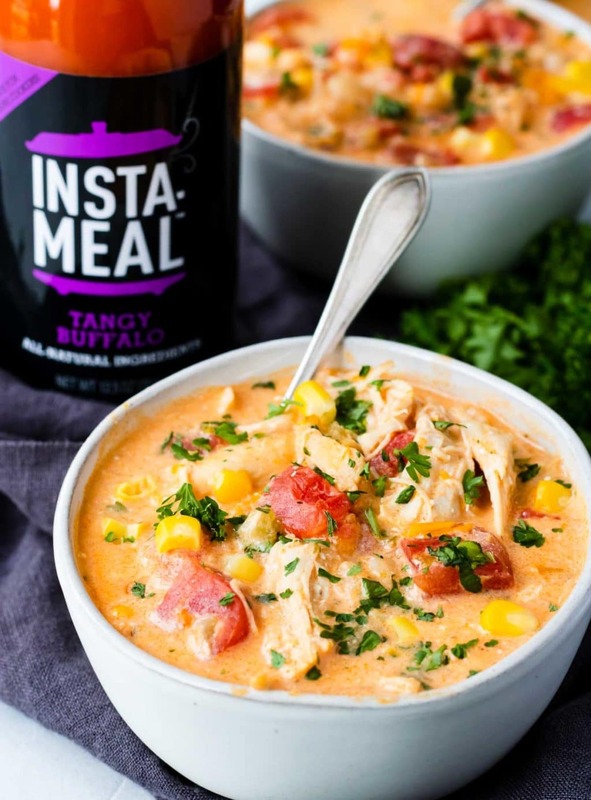 The key to this AMAZING buffalo chili recipe is the buffalo sauce that is made JUST for your Instant Pot, Insta-Meal Tangy Buffalo Sauce! 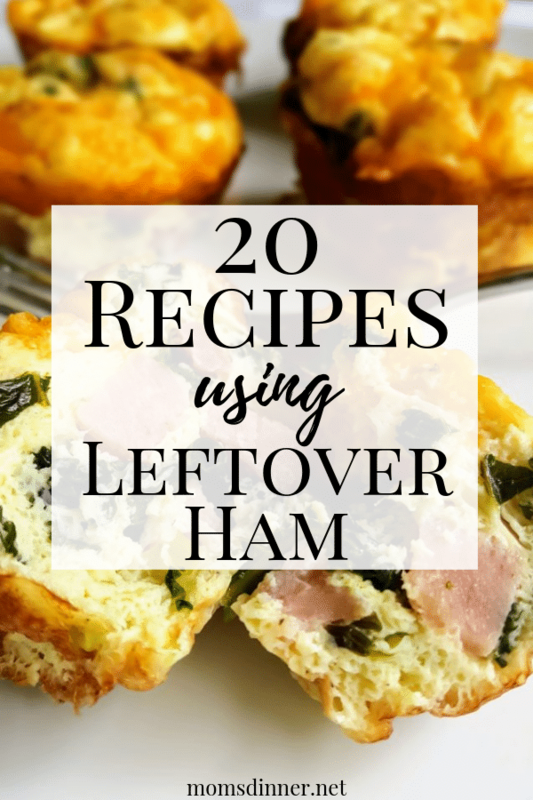 It is not only delish, it makes cooking in your Instant Pot extremely easy! 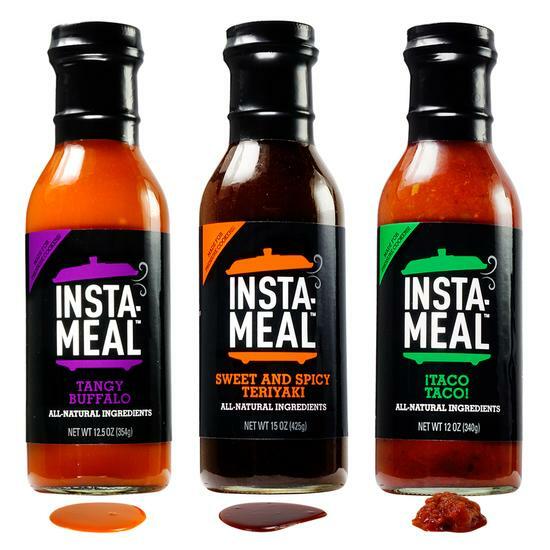 Insta-Meal sauces take the guesswork out of making or finding a sauce that is Instant Pot compatible. 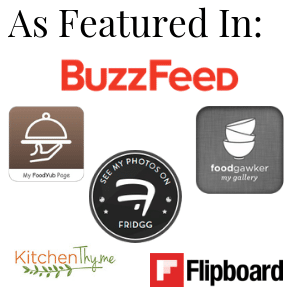 They are huge time savers not only in the kitchen, but also at the grocery store. Instead of buying 7 extra ingredients to make the sauce, everything you need is already in the bottle for you! And they taste AMAZING!! Start by sauteing the bell peppers, onions, garlic, and celery in the pot, in oil, for about 5-8 minutes until everything starts to soften and becomes fragrant. 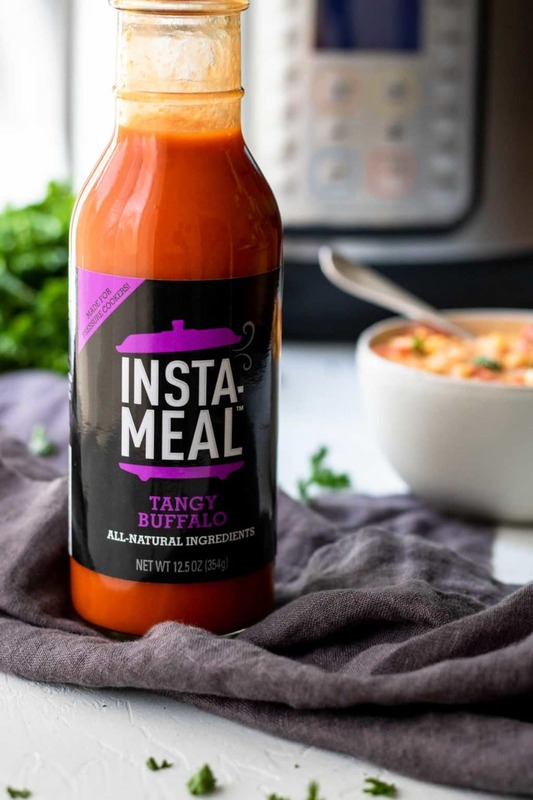 Add the raw chicken breasts, broth, ranch dressing powder packet, and the entire bottle of Insta-Meal Tangy Buffalo Sauce. Give it a stir and then place the lid on the pot. Turn the pressure vent to seal, and set the pot to Meat/Stew or Pressure Cook, on high, for 12 minutes. Once it is done cooking, turn the pressure valve and do a quick release. Remove the chicken from the pot and shred or dice, and then set it aside while you finish the chili. Turn the pot back on to saute mode and add the cream cheese to the pot and stir & whisk the cream cheese until it is melted and fully incorporated. If you like a little extra spice, try only adding half the cream cheese. Now stir in the drained tomatoes, drained beans, corn, cilantro, chicken, and honey. Give it a stir and it is ready to serve! If you added all the cream cheese and still want a little less heat you can add a 1/4 cup of whole milk, half&half, or heavy whipping cream. 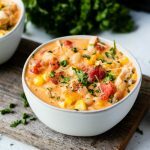 I hope you give this Instant Pot Chicken Chili recipe a try in your kitchen! 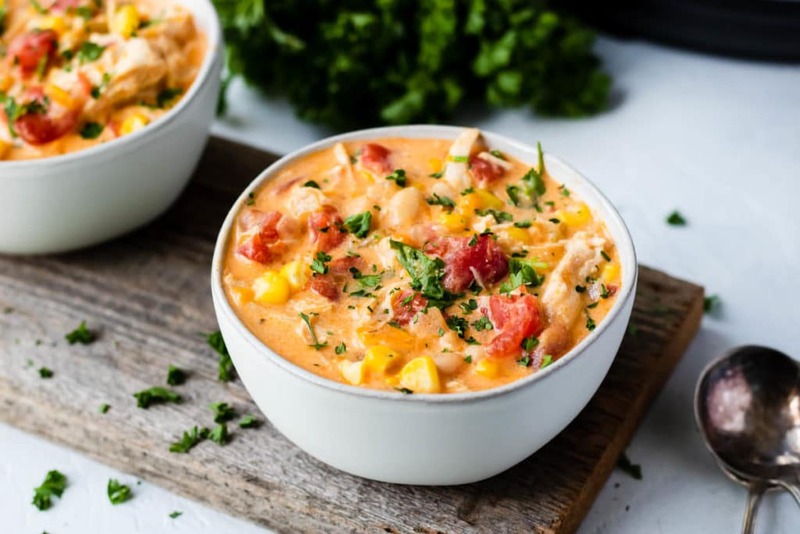 Buffalo Chicken Chili made in your Instant Pot! 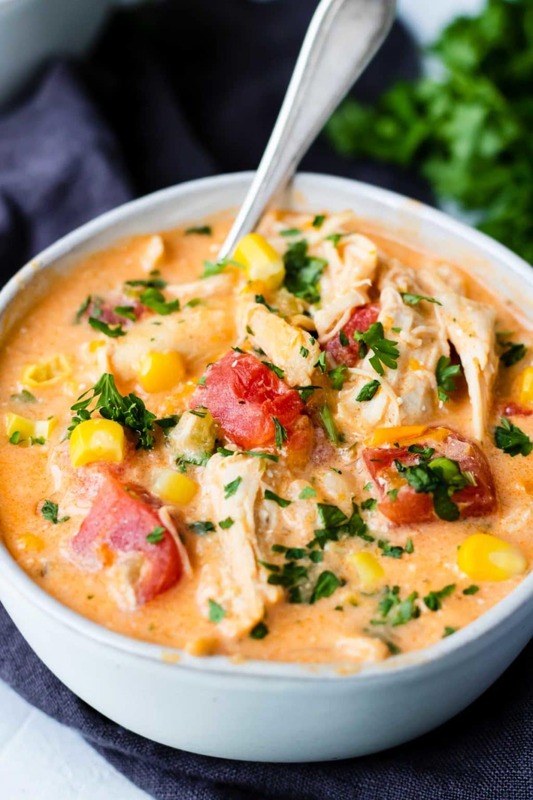 This recipe is tangy with a little kick of heat, balanced with cooling flavors of cream cheese, corn and cilantro. Set the Instant Pot on Saute mode. Once it reads HOT add the oil to the pot and soften the onions, garlic, celery, and bell pepper for about 5-8 minutes. Turn the saute mode off. 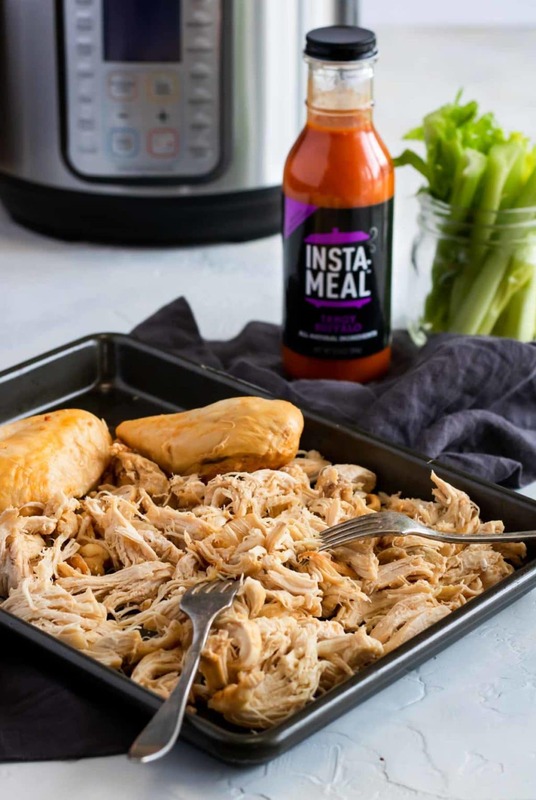 Add the raw boneless skinless chicken breasts, ranch dressing powder mix, chicken broth and Insta Meal Tangy Buffalo Sauce to the pot. 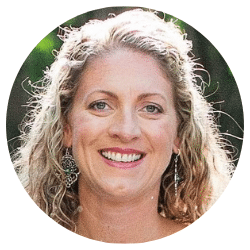 Place the lid on the Instant Pot and lock the pressure valve to "seal". Set the Instant Pot to Meat/Stew or Pressure mode, on high, for 12 minutes. After it is done do a quick release of the pressure. Remove the cooked chicken from the pot and shred or dice. Set aside. Turn on saute mode and add the cream cheese (if you like your chili really spicy you can add half the cream cheese amount). 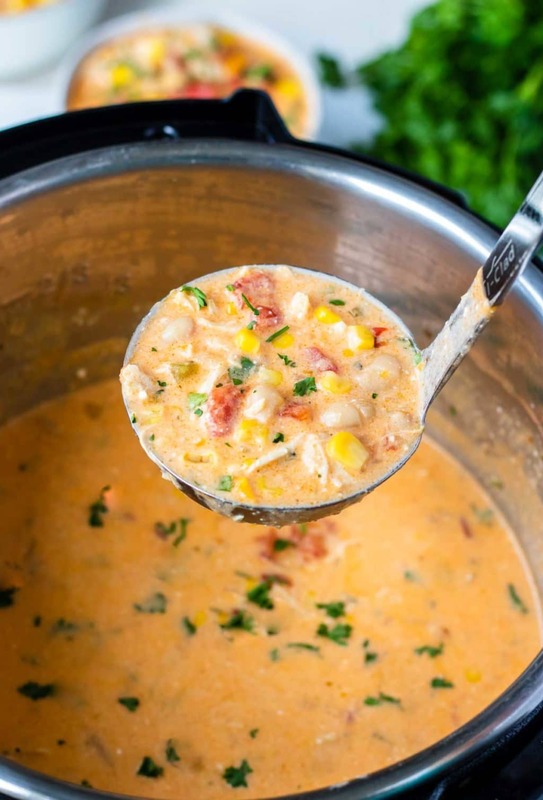 Stir and whisk the cream cheese into the soup until it has incorporated completely. Stir in the shredded or diced chicken, drained tomatoes, drained beans, corn, cilantro, and honey to the soup. Note- if the soup is still a little spicy for you add 1/4 cup whole milk, half&half, or heavy whipping cream. If you want an extra spicy buffalo chicken chili then only use 1/2 the amount of cream cheese. Ridiculousness!!! So delicious!! Great any time of year! Love that there’s cream cheese in this! My fave. It takes the heat down to just the right amount! This looks sooo creamy and delicious, yum!! 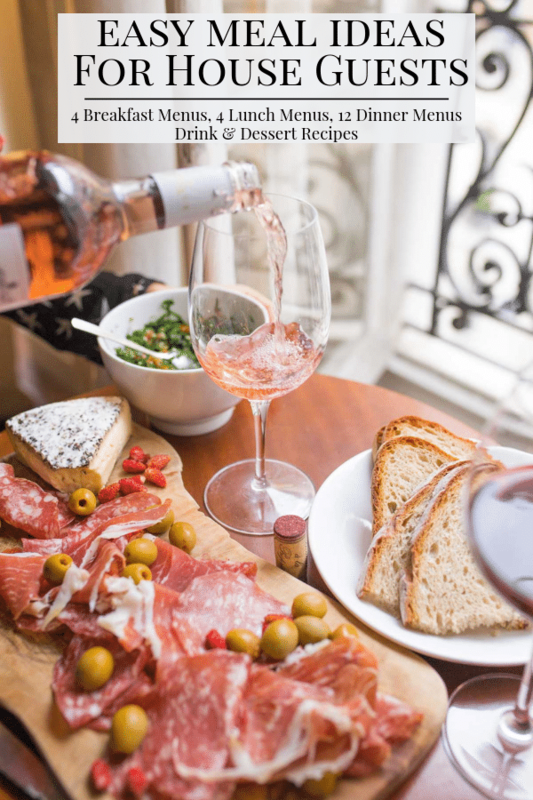 Cannot wait to make this one! !